“Sully” Ready or not, hear I come! Sully is a cuddle bug! He is as sweet as they come! Sully turned 8 weeks old today! If you like the “Sully” character from Monsters Inc. You will love our Sully boy! 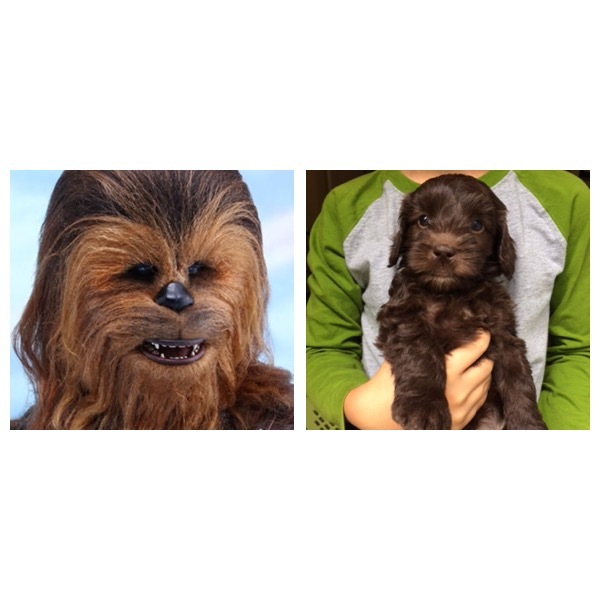 Chewbacca and Chewie. We think there is just a little resemblance. Bring home the friendliest and most protective Wookie in the universe with this fluffy Chewbacca puppy. This cutelabradoodle is waiting to be your Wookie. I’m sure this little guy is dreaming about eating Bacon for days! Not a worry in the World. Make your dream come true. 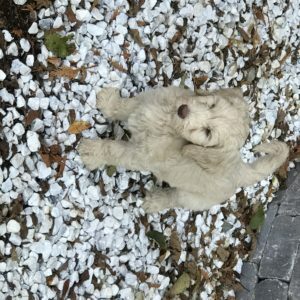 Adopt a cute labradoodle puppy and treat him to some bacon! This little guy is adorable! He can make a place in your heart and in your home too! He is a caramel color with an incredibly soft wavy fleece coat, cuddly as a teddy bear! With the cutest black button nose, he is not only smart, jolly, sweet and all, he’s handsome to boot! And he is non shedding allergy friendly. 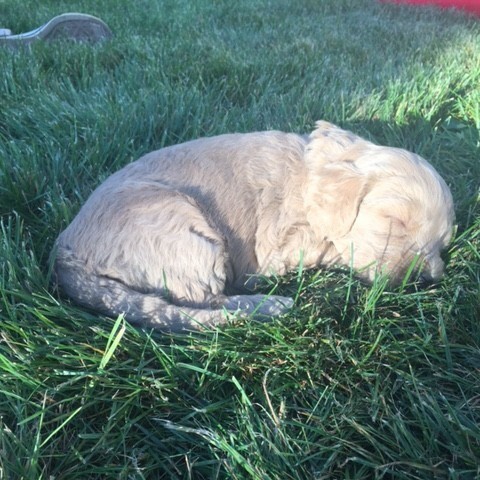 We have several cute labradoodle puppies from mama ‘Kylee’ litters in homes being used as service and therapy dogs. We begin deworming our puppies at 4 weeks of age. 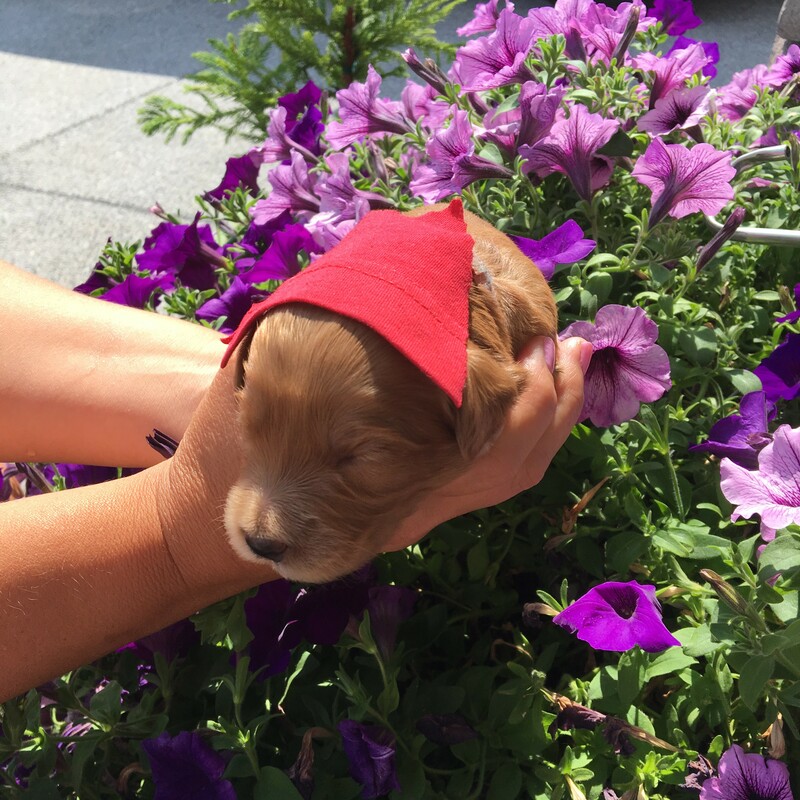 Your puppy will have his first age appropriate vaccinations and will be microchipped at 8 weeks of age. 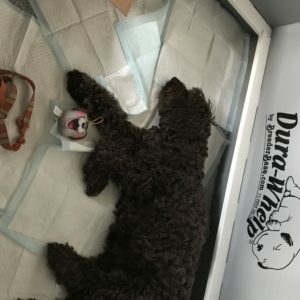 He will have a puppy well health check up before he leaves for his furever home! Mr. 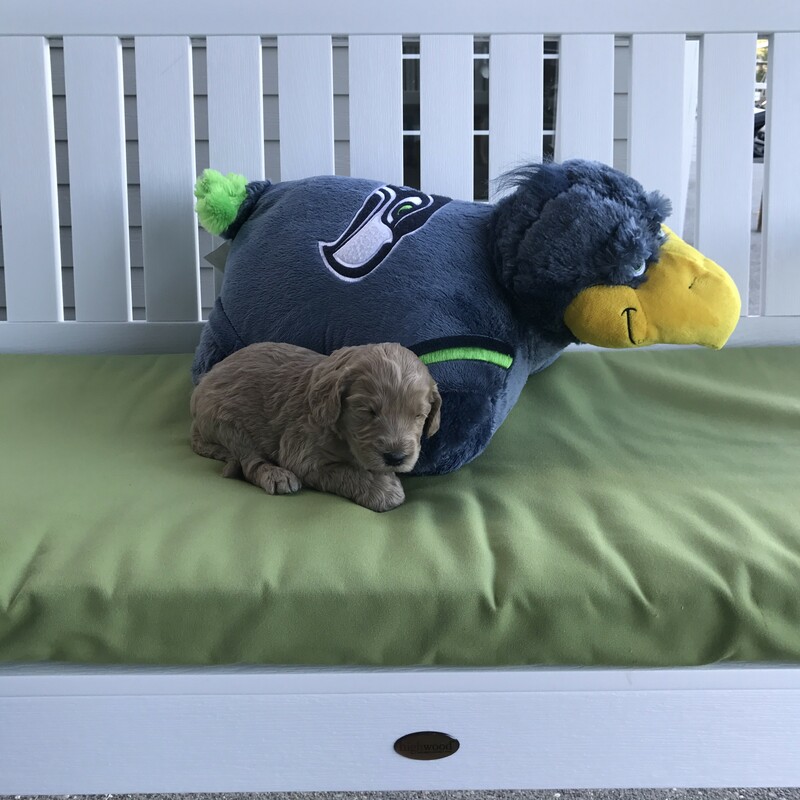 Cute Labradoodles stands by his Seahawks everyday all day! 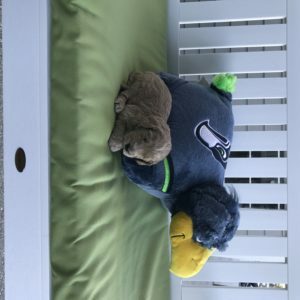 Mr. Cutelabradoodle can be your fur~ever loyal fun friendly cuddle and watch the Seahawks buddy everyday all day! Once upon a time there was a little girl who lived in a ‘home’ near the forest. Whenever she went out, the little girl was covered in her red ‘coat’, so everyone in the home called her Little Red Riding Hood. “But Mama! What big eyes you have,” said Little Red Riding Hood. “The better to see you with , my dear,” replied the mama Labradoodle. “But Mama! What big teeth you have,” said Little Red Riding Hood. “The better to eat ‘food’ for you my dear” as she leaped up and licked her Little Red Riding Hood in the face. 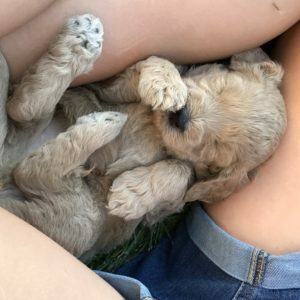 And all of the Cute Labradoodles Lived Happily Ever After! 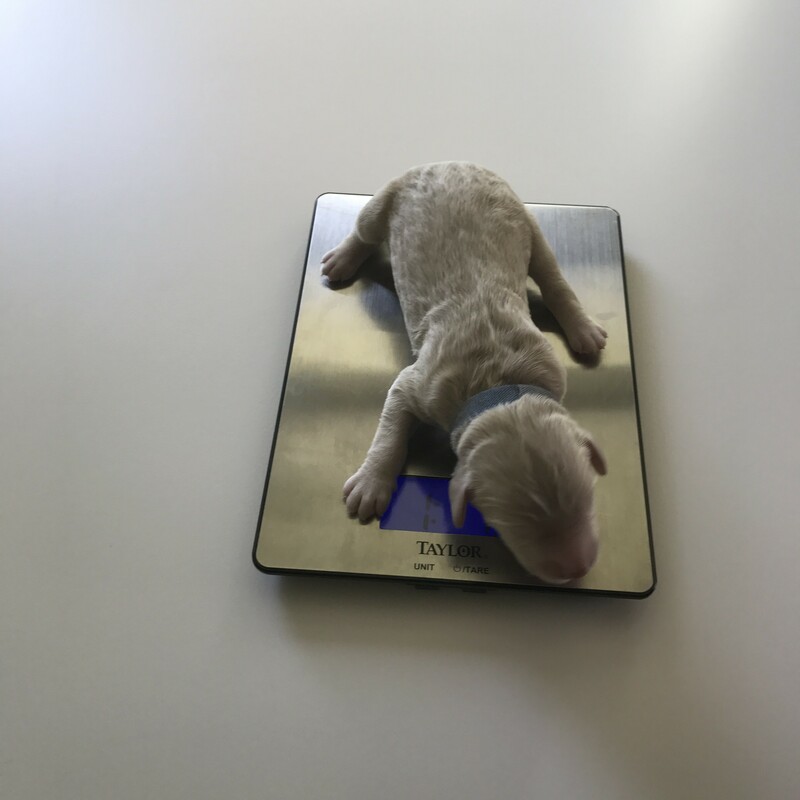 Every day at 10:30 am it is our routine weigh in for these cutelabradoodles! 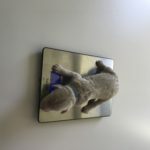 My sweet girls, Taffi and Libbi have charted each puppies weight gain from birth. Porky Pig and Miss Piggy have shared meals very nicely with the rest of their litter mates. 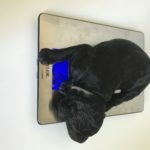 With each new day every puppy has gained weight! We have a healthy beautiful litter of cutelabradoodles! Coming up next: They will see the world around them with their tiny little eyes and hear sweet noises with their tiny little ears! We cant get enough of these sweet puppies. Pure Joy! 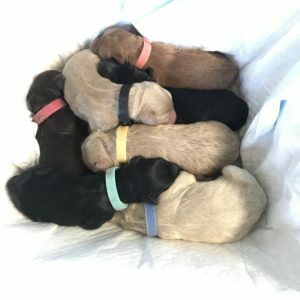 And then there were 8 Labradoodle puppies! Just like that! Miss Kylee is a proud mama! What a beautiful rainbow of colors! Chocolate, blacks, creams, caramel and red! 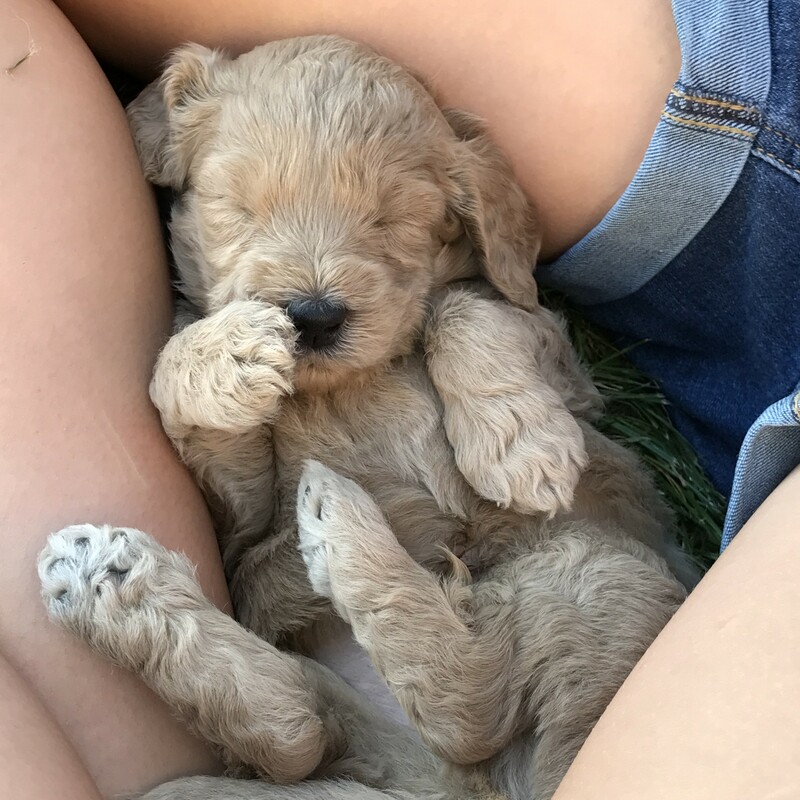 I can’t even with these adorable Labradoodle puppies! So soft and oh their puppy breath, their sweet little puppy grunts! They just have a way of putting a smile on your face and in your heart at the same time! 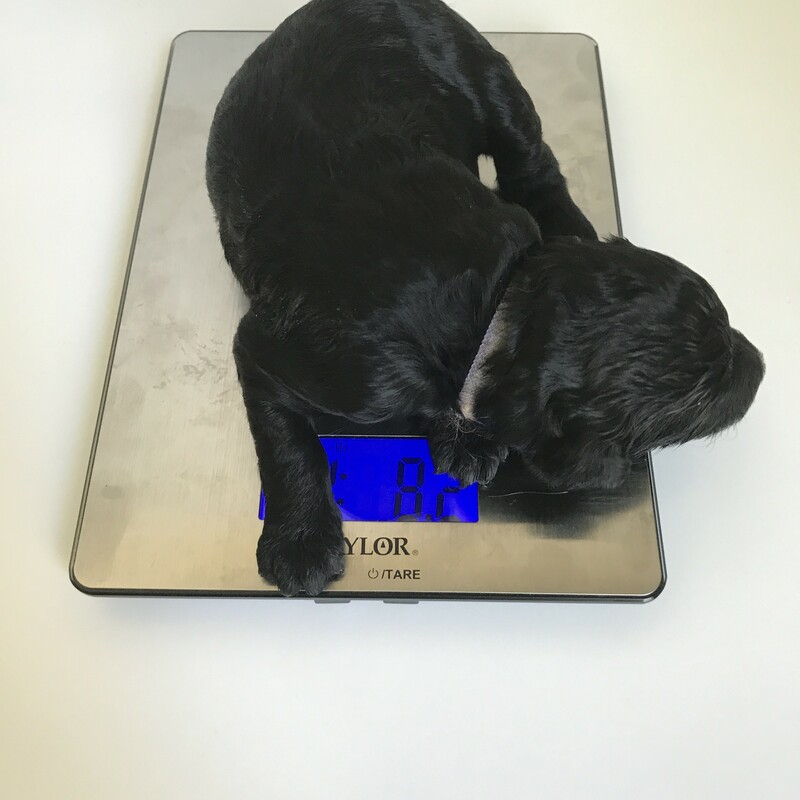 Stay tuned: coming up next I will share the puppies weighing in every morning. Our sweet Kylee came to me as I was sleeping Saturday night and tapped me ever so gently with the tip of her nose as she was taught to do in her DAD (diabetic alert Dog) service training course. I ignored her for she never has to be taken out to potty in the middle of the night. Pregnant with 8 puppies or not. I dozed back to sleep, and felt a second soft touch to my arm. I woke up with a panic realizing its time! Kylee was in labor! 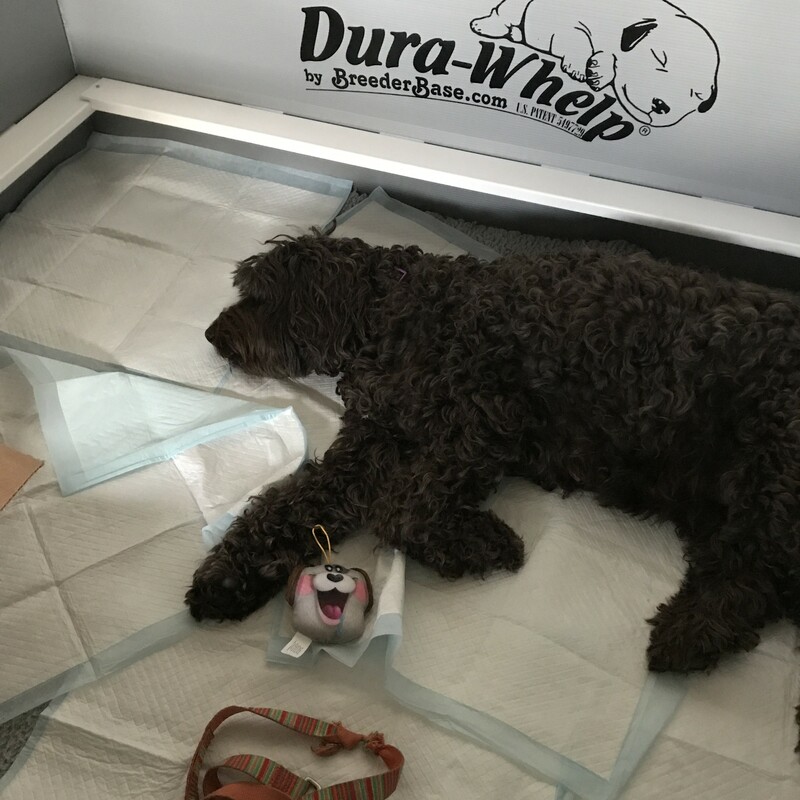 I took her to her whelping box and had a nice long conversation with her for this would be her last litter and she will retire from birthing puppies. One is Kylee’s very special and favorite ‘tattered leash’ this is and has been her ‘binky’ since she was a young little puppy. She carries it around with her everywhere! Needless to say it was a necessity for her. The other is a stuffed puppy toy my 16 year old daughter got in her McDonalds Happy Meal for our sweet Kylee. She ran to get her special new toy and dropped it in her pen and stretched out like she was queen bee! Now she was ready for the arrival of her littles. She is kind hearted and special like this! She shares her heart and ‘things’ with everyone. Check out the pictures below of her precious bundle of joys! More to come as we grow over the next few weeks. 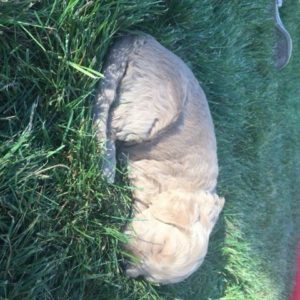 Late Summer Puppies are on their way, expected to be born on August 25th, 2017! 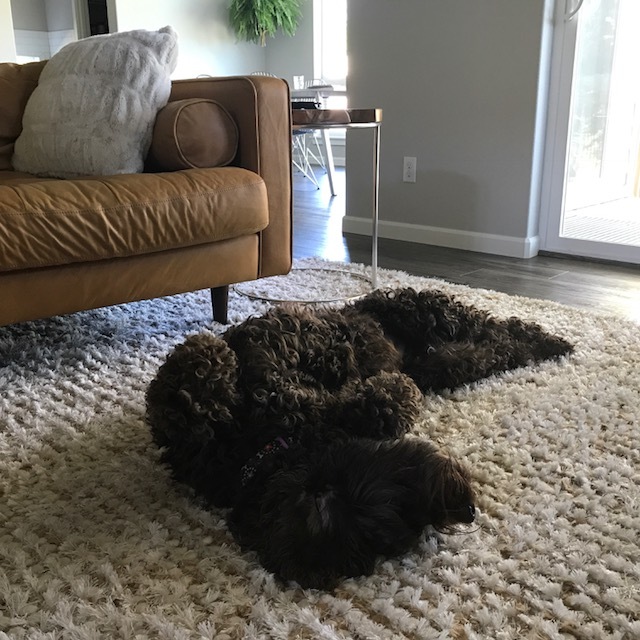 Our Australian Labradoodle Kylee is showing off her “Puppy Bump” expected to be born on August 25th 2017! Kylee and Sauvie are due on the very same day and our snuggle bugs are almost here! 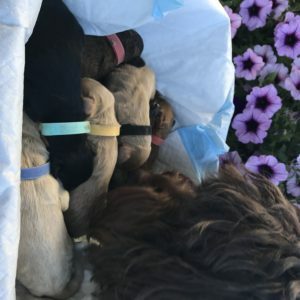 These are Certified Australian Labradoodle puppies! Our Kylee (pictured on the right) is doing better than ever and, I’m sure, is excited to have yet another litter of puppies making this her 5th litter! 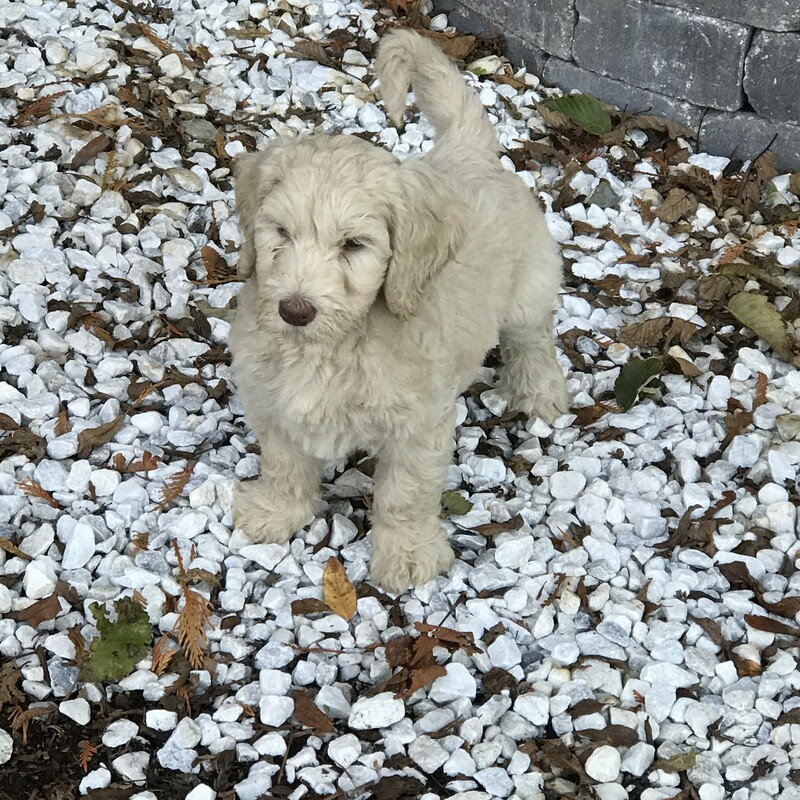 Our Australian Labradoodle Puppies are simply the Cutest you can find. 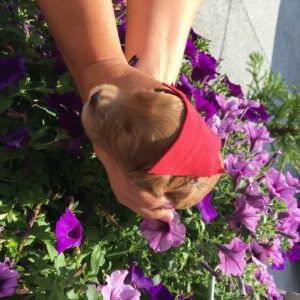 We love raising puppies in our home to prepare them for yours! 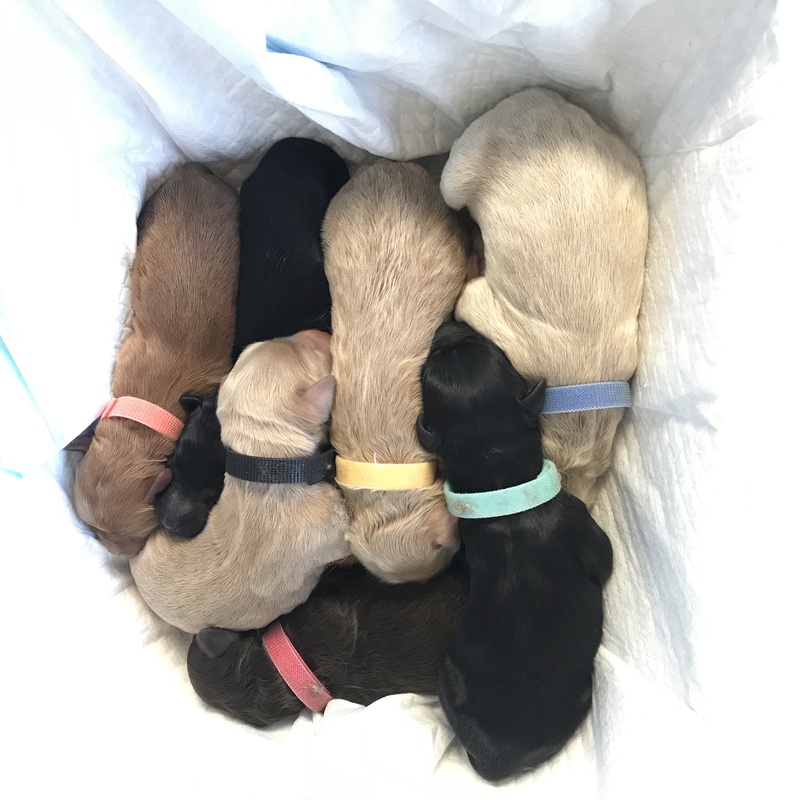 For more information on upcoming litters and how to reserve your labradoodle puppy Click Here! 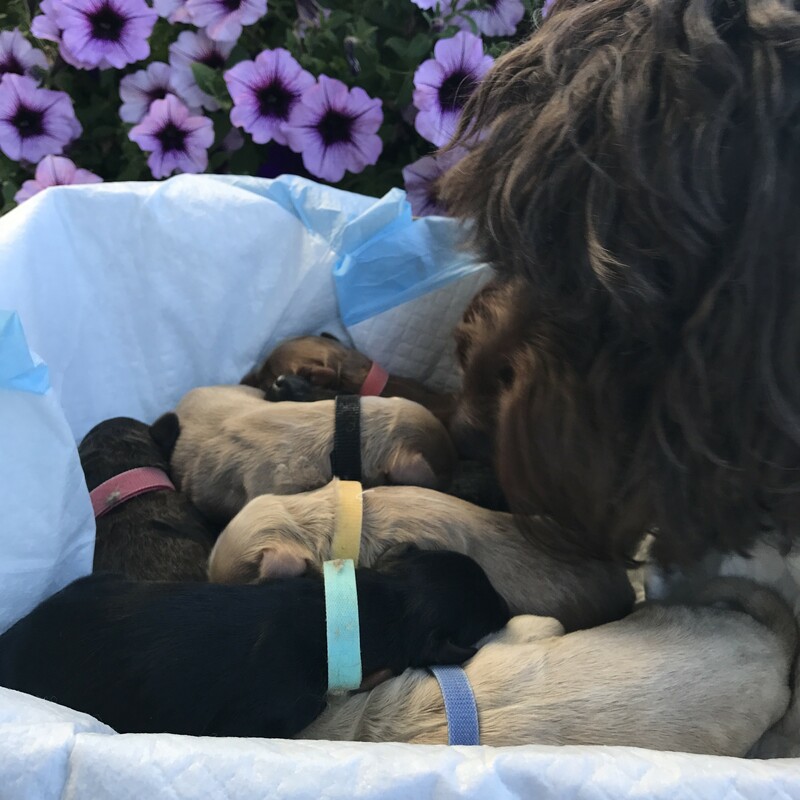 My husband and I were in contact with many Australian Labradoodle Breeders, in search for the perfect dog to start our breeding program. After ruling out other breeders for countless reasons, we decided to go with Jim and Denise and we are so glad we did! We had our dog Holly, flown out to us in Iowa, and we could not be more pleased with her! She came with wonderful manners, and is the most laid back, loving dog I have ever owned! You can tell she was very well socialized and has a wonderful pedigree as well. She has the softest fur and most amazing disposition. We get compliments on her everywhere we go! Jim and Denise have been wonderful to work with, and we plan on working with them for years to come! 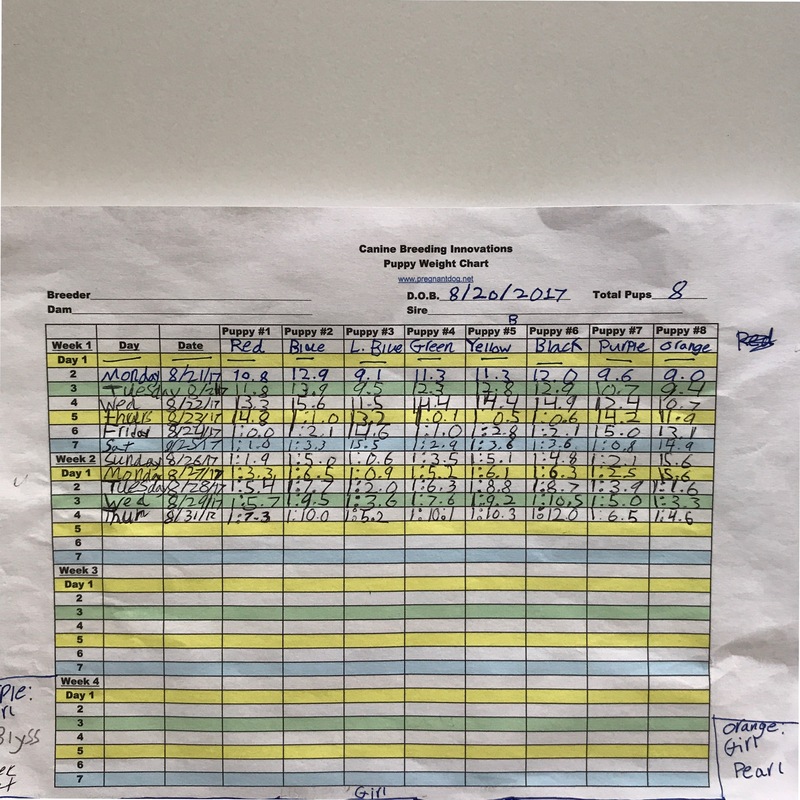 The start to our breeding program could not have gotten off on a better foot than it did with Jim and Denise. I would (and have) recommended them to anyone that has shown interest in Australian Labrdoodles. 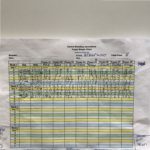 This is definitely a well respected breeder and they are very friendly people to work with! Thank you Jim and Denise for the awesome addition to our family! !